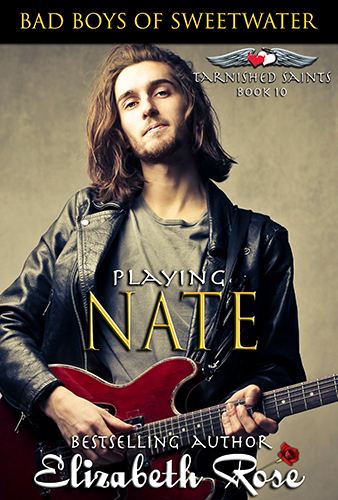 Nate Taylor is the owner of Nate’s Bar and Grill, but things aren’t looking so good. If he doesn’t get a hold of some money for repairs soon, he might lose his business. Isabella Goldstone has moved to Sweet Water with her pregnant, widowed daughter. She comes from money and tho she owns the local flower shop, her passion has always been to own a small bar and grill and be able to sing for the customers. Will a woman who is ten years younger than a man who is living her dream be able to find her passion – in more ways than one? “I’m Nate, the owner of Nate’s Bar and Grill.” He quickly shook her hand to be polite, noticing the soft feel of her skin. He sincerely doubted she had ever done a day of manual labor in her life. “You own this place?” Her eyebrows raised in question. A big drip of water leaked from the ceiling just then, hitting him on the nose. Isabella giggled, and she looked up to the ceiling and then around the rest of the room. “Yes, it’s a wonderful establishment,” she said snidely. Nate brushed the water off his nose, wanting nothing more than for this woman to leave. “Oh good, since I’m a vegetarian,” said Isabella. It figured, thought Nate. The woman was probably too prissy to eat anything that was dead. The ceiling dripped again, and this time the water hit Nate in the forehead and trickled down his cheek. He saw Isabella’s eyes light up and she giggled softly. He stood his ground and didn’t even flinch. She turned to leave with Aunt Cappy and Cat following. Nate clenched the handkerchief between his fingers, wanting to rip it to shreds. The door to the bar closed behind them and Thad and Pete burst out laughing. “Sonny?” asked Thad, laughing even harder. “I can’t stand that woman,” Nate said, looking down to the handkerchief that had her name embroidered on it in pink silky thread. He whipped it across the room and headed for the office to get his coat.